If you are the one who is an active Twitter and love to share the interesting tweets by others then this piece of writing is just for you. Retweeting other tweets is a great way to share something that deserves to be shared among your friends and followers. Also retweeting helps a lot in building great Twitter relationships. But what happen if you unknowingly retweet something fishy:? Here is a method to delete that retweet in just one click. Most of you might be already aware with this method but sometimes it’s good to have revision. 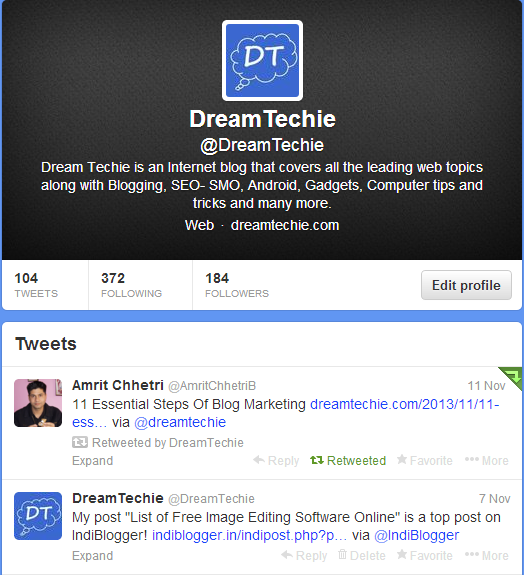 Locate the tweet you want to retweet – Reach to your main profile page where you can easily track all your tweets in a series. Now click on “Retweeted” – the green text; to delete that tweet from your twitter profile.